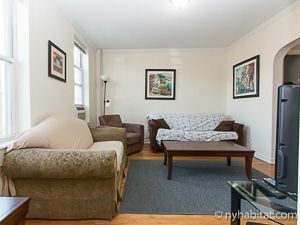 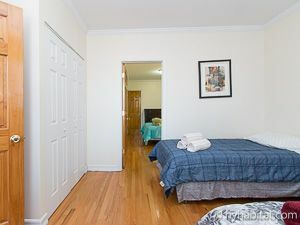 This is our reference NY-14592 If you&rsquo;re looking for quick access to New York City in a relaxed and eclectic neighborhood, this furnished one bedroom at 48th Street and Skillman Avenue in Sunnyside, Queens is the perfect fit. 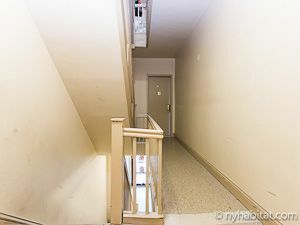 Your apartment is located on the 3rd floor (considered the 2nd by Europeans), and the building offers 24 hour video surveillance and a buzzer system with intercom for your security. 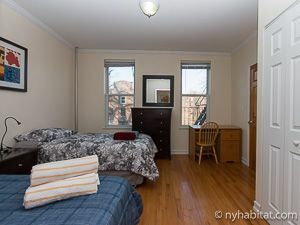 Please note that this is a railroad apartment. 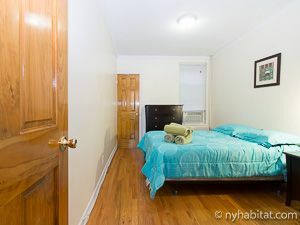 Bedroom 1 is only accessible by walking through Living Room 2 (see floor plan). 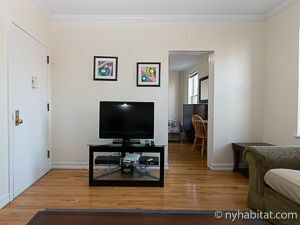 As you walk into this apartment, you&rsquo;ll be greeted by hardwood floors and natural light. 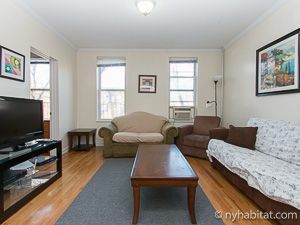 The living room includes a television, cable, along with a double-sized futon couch. 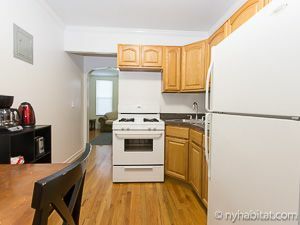 In the kitchen you&rsquo;ll have everything you need to cook, from pots and pans to a great selection of appliances, and there is ample counter space for preparing meals. 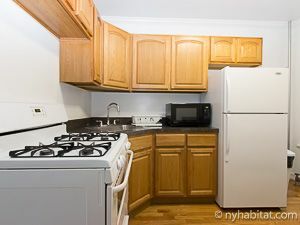 The kitchen is eat-in and features a dining table that seats four. 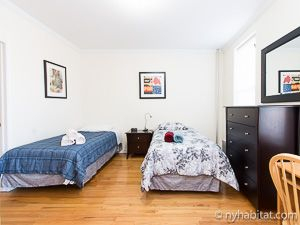 Living Room 2 has two single-sized beds. 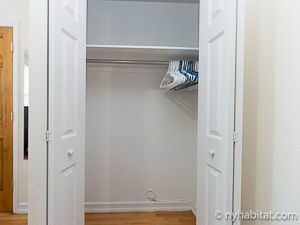 Bedroom 1 features a double-sized bed a closet for storage space. 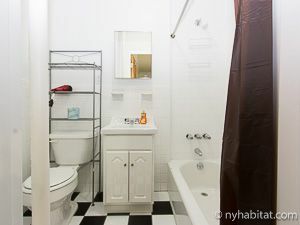 The bathroom features a full tub with shower.